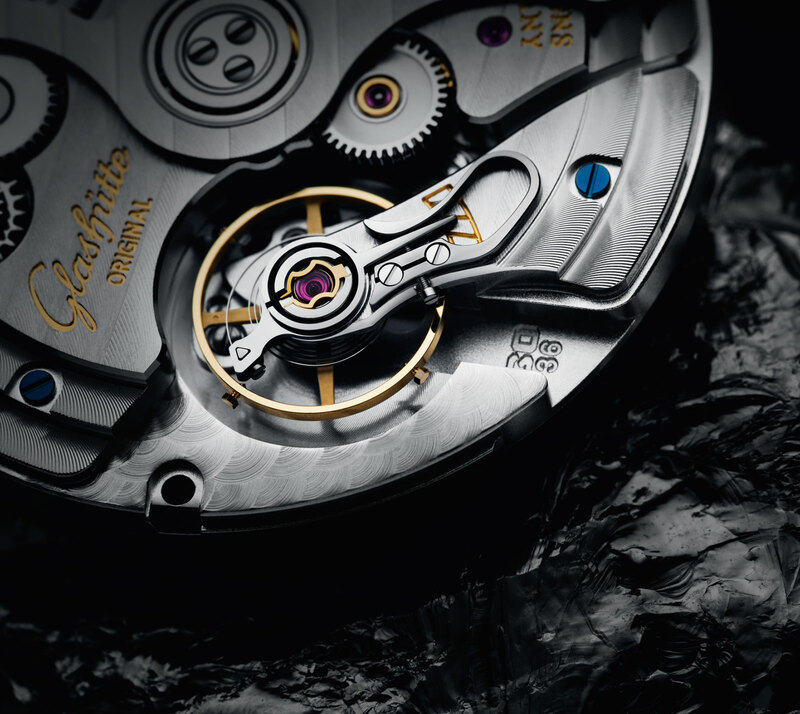 The robust, chronometer-certified calibre 36 gets broadens its repertoire with complications. 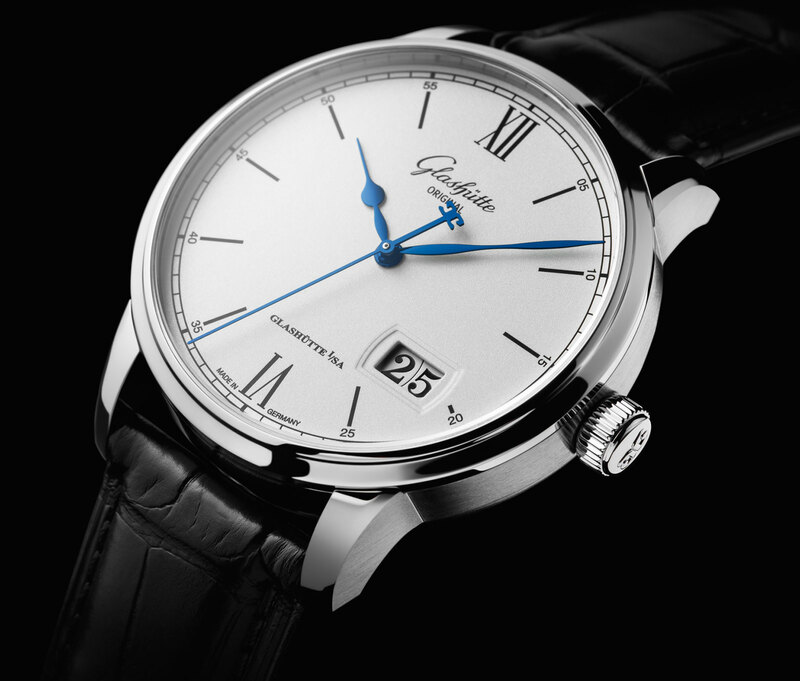 First introduced at Baselworld 2016 as a time-only wristwatch, Glashütte Original Senator Excellence is distinguished by the calibre 36 inside, a newly developed, solidly built movement. 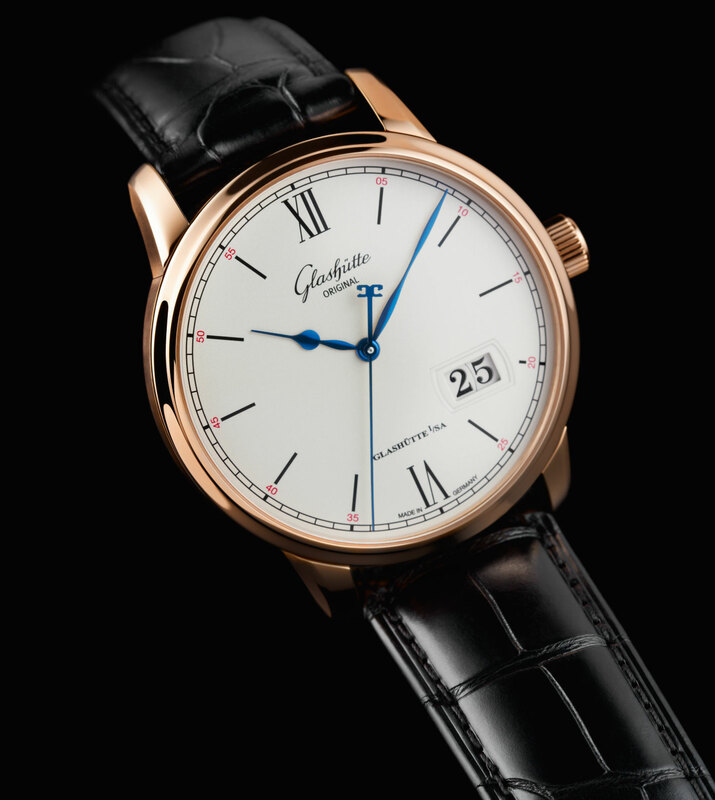 Now the calibre 36 has been upgraded with new complications, with either a big date display or both a date and moon phase. 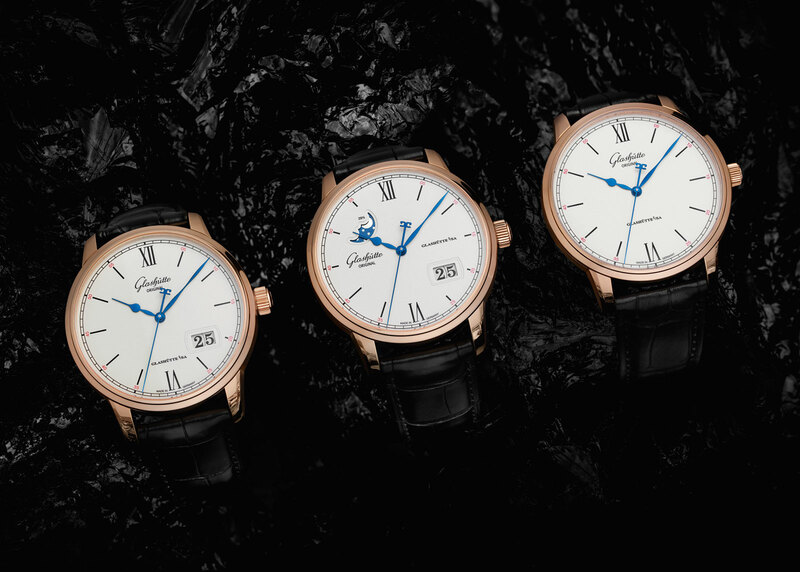 Known as the Senator Excellence Panorama Date and Excellence Panorama Date Moonphase respectively, the new models stick to the same styling as the time-only model. 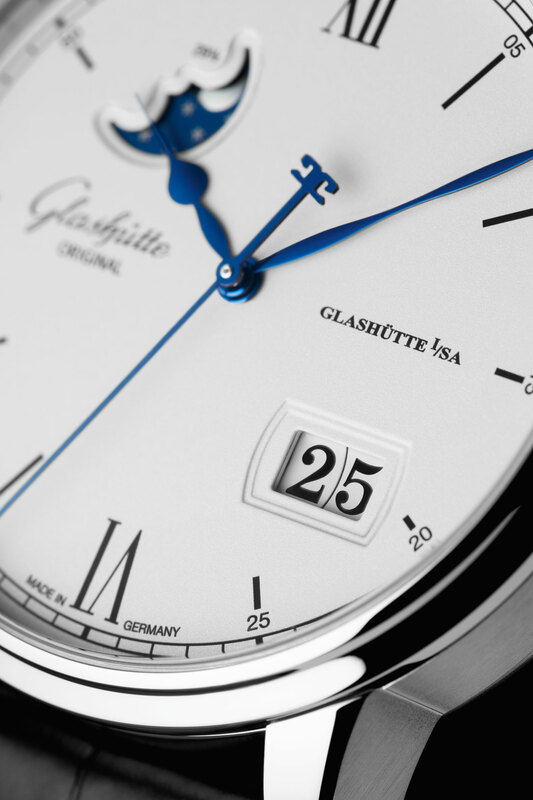 The dials are grained silver, with colour provided by blued steel hands and red minute markings. Notably, the hour markers and lettering are not just printed, instead they are laser engraved and then filled with black lacquer, a finish that provides greater longevity. Powered by the calibre 36-03, the Senator Excellence Panorama Date has the brand’s signature extra-large date at five o’clock. Two discs positioned on the same level (many oversized dates use discs that are stacked) show the two digits of the date. 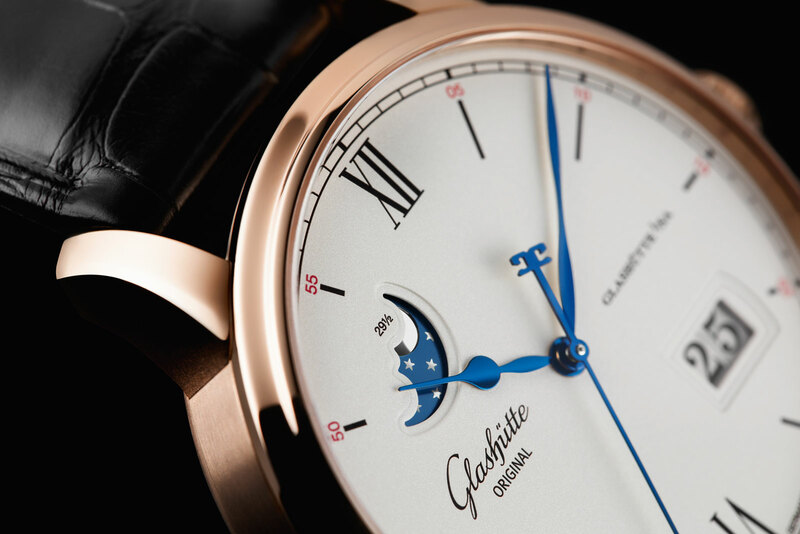 With the addition of a lunar display at 10 o’clock, the Excellence Panorama Date Moonphase looks just a tad fancier. 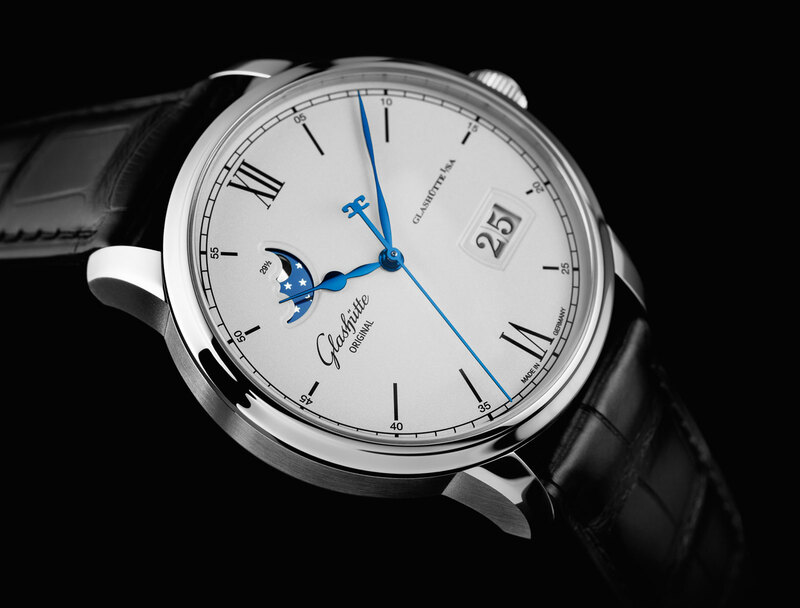 This has inside the calibre 36-04, with the moon phase disc is a shiny metallic blue, with the moon and stars in silver. 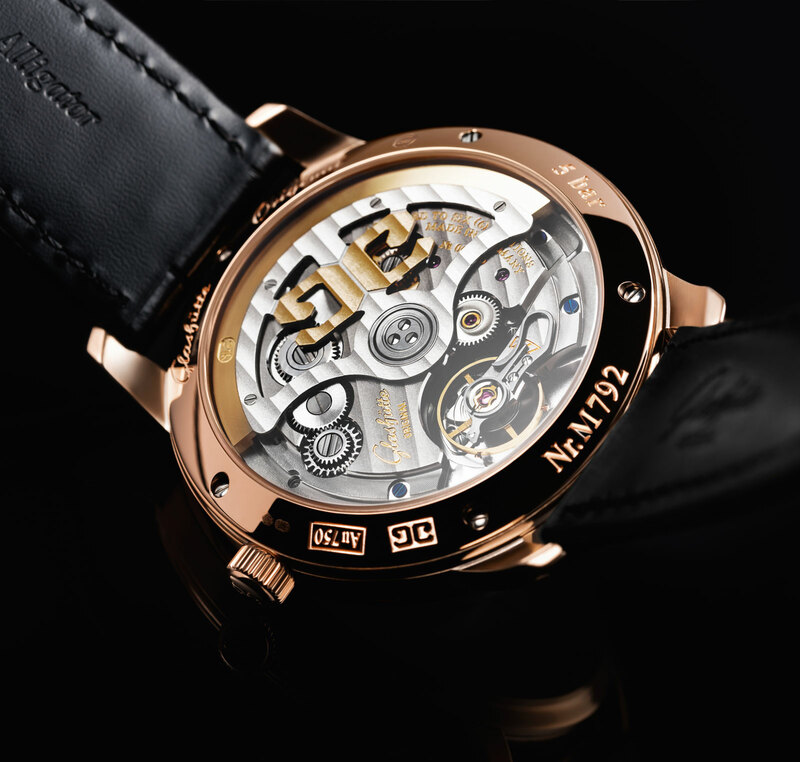 While the complications differ, both movements are almost identical, with the same key features, namely a free-sprung silicon hairspring and a 100-hour power reserve, accompanied by 24 days of timekeeping tests to standards similar to that of COSC. 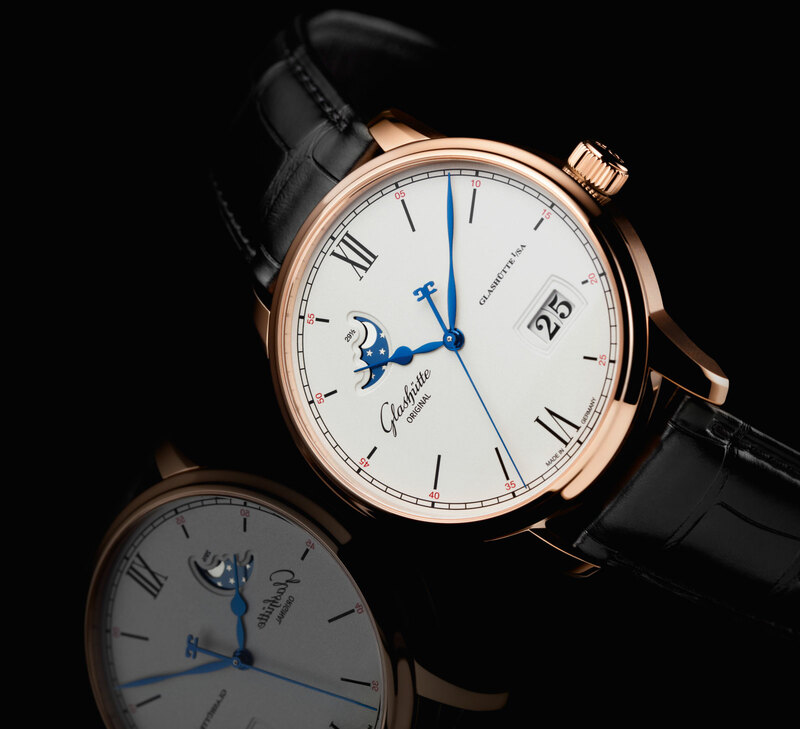 Both feature the same 40mm case that’s 12.2mm high, available either in stainless steel or rose gold. That makes them thicker than the time-only Senator Excellence that’s just 10mm high, an increase dictation by the size of the date mechanism. 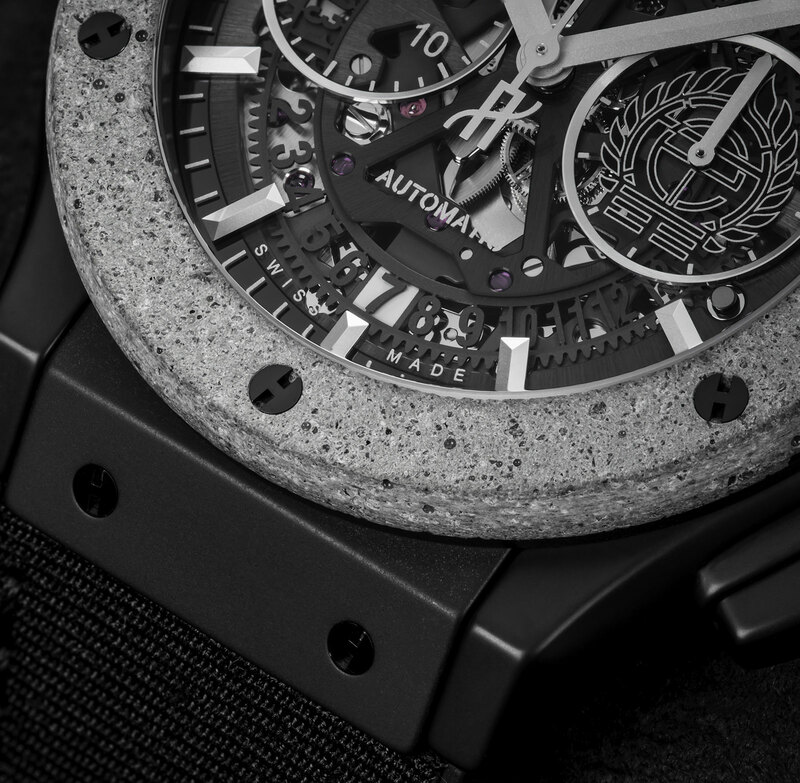 A concrete manifestation of mechanical watchmaking in a nod to the Big Apple. Designed in collaboration with graffiti and street artist Tristan Eaton, the Classic Fusion Aerofusion Chronograph Concrete Jungle is the latest Hublot to experiment with novel materials. The bezel is made of concrete, or more specifically concrete mixed with epoxy resin to increase the robustness of the material, a reference to the “concrete jungle” that is New York City. 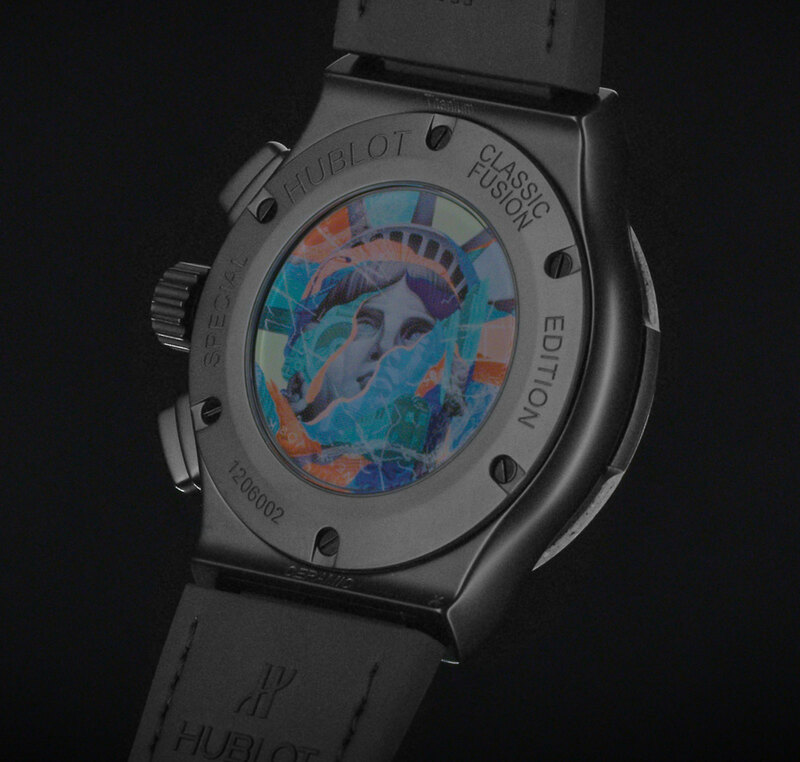 On the rear of the watch a collage motif depicted the Statue of Liberty created by Mr Eaton is printed on the sapphire case back, while the artist’s emblem is on the sub-dial at three o’clock. The rest of the watch is identical to the standard Classic Fusion Aerofusion Chronograph, with a 45mm case in black ceramic, equipped with the HUB1155 movement, a Sellita SW300 automatic with a chronograph module. 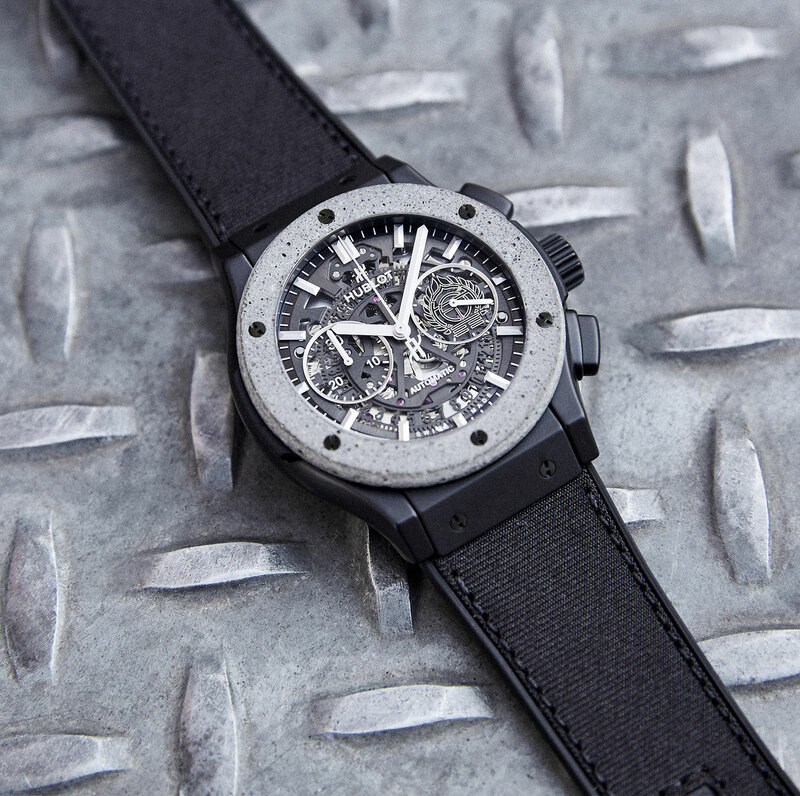 The Classic Fusion Aerofusion Chronograph Concrete Jungle (ref. 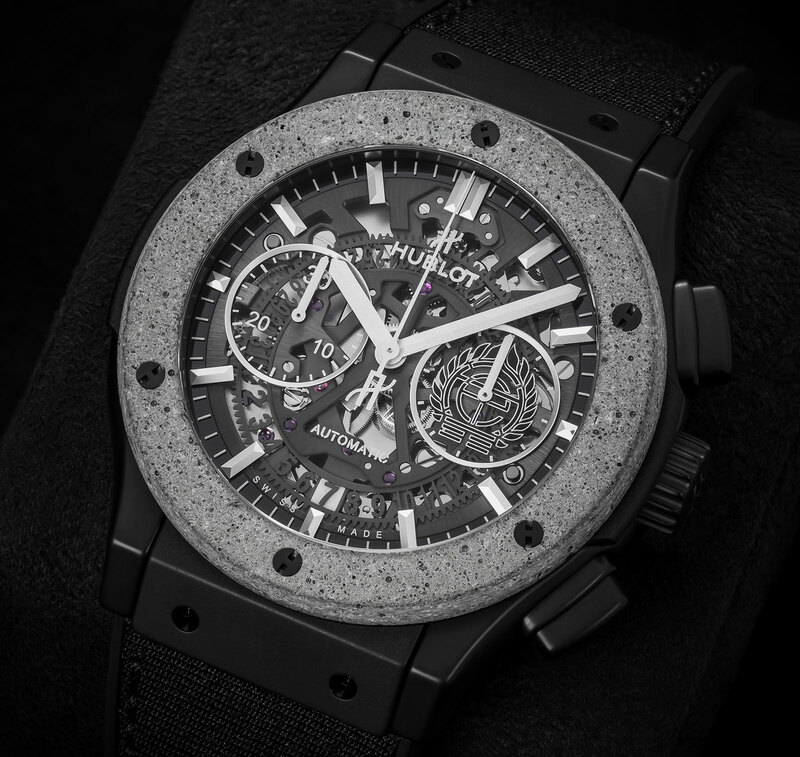 525.CI.0117.NR.NYC16) is available only at Hublot’s New York boutiques on Madison Avenue and Fifth Avenue, priced at US$19,500.